This unique CD features 10 diverse Praise & Worship songs interspersed with 30 interactive devotionals. It allows listeners to dig into a study on worship whilst experiencing the music of AWE. Way to go, extreme worship! 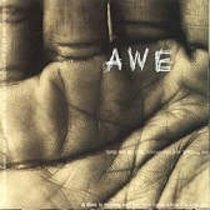 About "Awe: Alternative Worship Experience"
This is the introduction to the AWE devotional, the companion to the full-length, various-artist project of the same name. This innovative product will introduce you to a life of worship. Combining fresh and original worship music with a 30-day devotional experience, you will discover a kind of worship that engages both heart and mind.This enhanced CD offers both music and 30 days of interactive devotionals. The two elements intertwine to lay the groundwork and create the atmosphere for the Wind of the Spirit to blow through your life in all His power.Put the CD in your player and worship through heart-stirring music of AWE. Put the CD in your computer and begin a 30-day worship experience - a journey into the deep things of God, written by Jennifer Kennedy Dean. The worship experience will lead you to interact with the lyrics at a deeper level. Then, as you listen to the music and as these songs become an integral part of your personal and corporate times of worship, the words will have spiritual depth and personal meaning to you.